Co-Released January 2016 with Everyday Health, Inc. This white paper summarizes findings from a survey of over 600 full-time workers in the U.S., conducted by Everyday Health in partnership with the Global Wellness Institute, that measured how employees feel about many aspects of their work culture and wellness programs. The overwhelming finding: to understand what has the most powerful impact on employee wellness you must look well beyond the wellness “program.” Instead, the pivotal factor was whether an employee identified their company as “caring about their health/wellness,” and when they did, their overall health, stress levels and job engagement improved significantly. 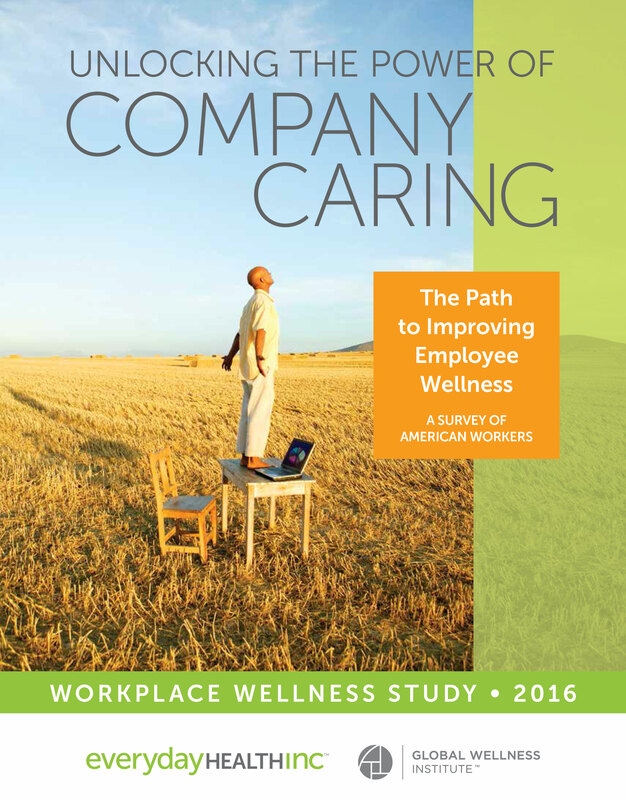 The report then analyzes the tangible and intangible elements that constitute “company caring,” and have the biggest impact on employee wellness, finding they differ significantly for Millennial, Gen X and Baby Boomer employees.